This pet has been nominated for the Pet Spotlight! On a warm, peaceful summer night, all the local Pokémon gathered in the Floaroma Meadow, curious about a large circus tent which had appeared there early that morning. Although it was dark outside, the tent glowed from within. The Combees, Wurmples, and Burmies crowded around a flyer posted at the tent's entrance, but they couldn't read it until a shiny Lampent emerged from the circus tent and provided them with some more light. What the flyer said was quite intriguing! None of the Pokémon had ever heard of "Kite" or "Henderson," or any of the other names on the flyer. By the process of deduction, an Aipom figured out that the helpful Lampent must be "the one and only Billy Shears." Billy never spoke, but using his long arms, he gestured for the Pokémon to come inside. Some of the bug types felt nervous about it, but eventually their curiosity got the better of them, and they all went in. Inside, all the Pokémon pictured on the flyer awaited their audience. Even the shyest Burmies relaxed when they saw the friendly, eager faces of the performers. Eleanor, the masked Sigilyph, seemed a bit spooky, but she was intriguing rather than dangerous. All the rest of the troupe were Drifs and Rotoms, familiar species of Sinnoh Pokémon. The tent only held one ring instead of three, yet it was obvious who the ringmasters were: a Drifblim and a Rotom, both of them older, shiny, and mustachioed. After the audience had taken their seats (on the ground, since there were no bleachers), the Drifblim and Rotom floated to the middle of the ring. "Cherubis and Silcoons! Pokémon of all types!" boomed the large Drifblim. "Welcome to the greatest show in Sinnoh!" He introduced himself as Mr. Kite, and his Rotom partner as Mr. Henderson; then the two of them withdrew to let the show begin. The other five Rotoms present proved to be Henderson's children, although none of them was shiny like him. Two of his daughters, Heat Rotom Rita and Frost Rotom Vera, put on a performance incorporating their ice and fire type attacks. Wash Rotom Chuck showed off his incredible strength, after which Fan Rotom Lucy and the Sigilyph Eleanor accomplished feats of flying. Billy Shears did not perform, but he stayed busy maintaining the other, battery-powered lights, tending the performers, and encouraging the audience to cheer and clap at the appropriate times. Finally, the last Henderson entered the ring for his act. He was Dave, a Mow Rotom who threw knives using the green aura of electric energy which surrounded him. 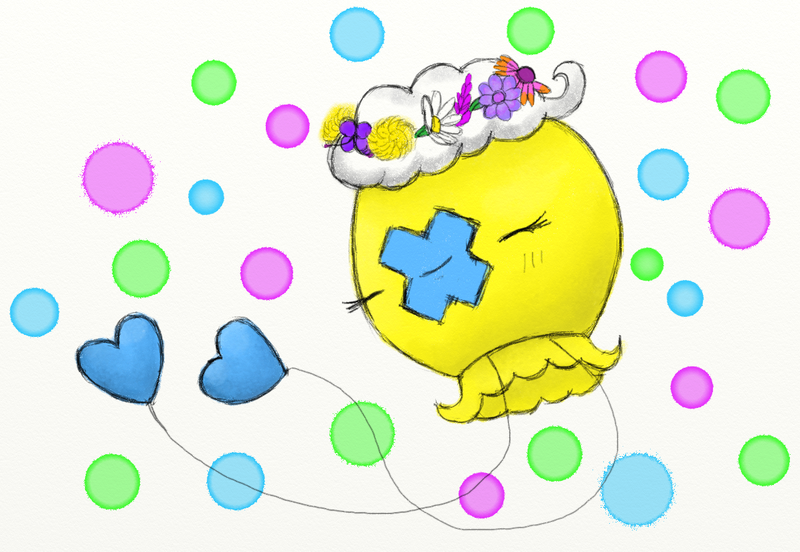 The audience gasped when they saw the Pokémon who would assist Dave: a petite shiny Drifloon. 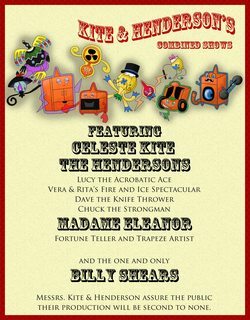 She introduced herself as Celeste Kite, obviously the daughter of ringmaster Mr. Kite. Vera lumbered out into the ring again and turned her back to the audience, so Lucy and Eleanor could lean a thick sheet of plywood against her. Celeste drifted in front of this and twirled around, her long strings spiraling beneath her. Then she held still, and Dave began to throw his knives at her. Despite the worries of the audience, each knife just missed the Drifloon's delicate hide and drove into the plywood instead. Soon Celeste was completely surrounded by knives, but not a single one had touched her. When they'd finished their act, Dave and Celeste took bows in the ring; then the Rotoms collected the board and knives and carted them off. Celeste, however, remained. 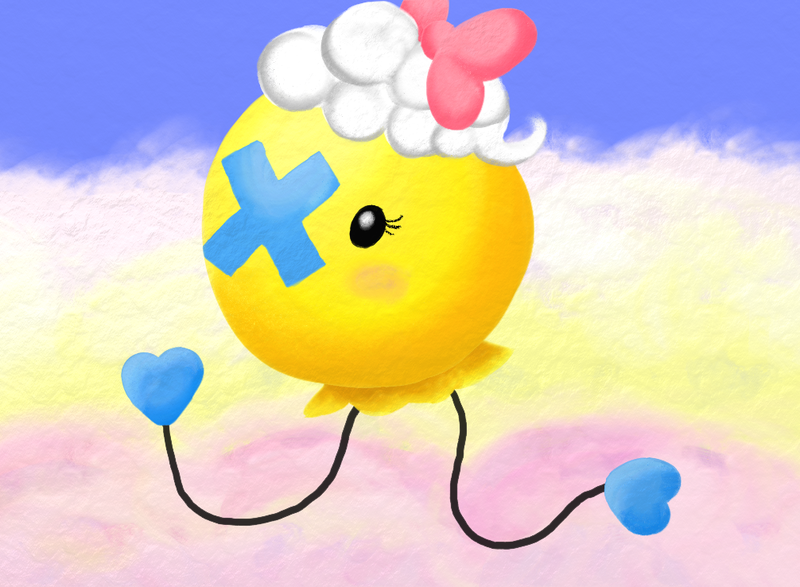 A few of the audience members clapped their various appendages since they all had grown fond of the little Drifloon after witnessing her bravery. Would you float up and drift out on me? Once the show was over later that night, the audience filed out. Several of them wanted autographs first, and Celeste got the most requests. She cheerfully made prints of her little heart hand for them, and Billy herded them out once their requests had been fulfilled. After that, the troupe still had to take down their lights and sign, and clean up any other mess so that they would leave Floaroma Meadow as lovely as they'd found it. Only the large tent stayed up; the troupe would sleep in it that night before starting out for Eterna City the next day. Celeste helped her father and the Hendersons clean up before she got out her own fuzzy, pink blanket and made a little nest for herself. 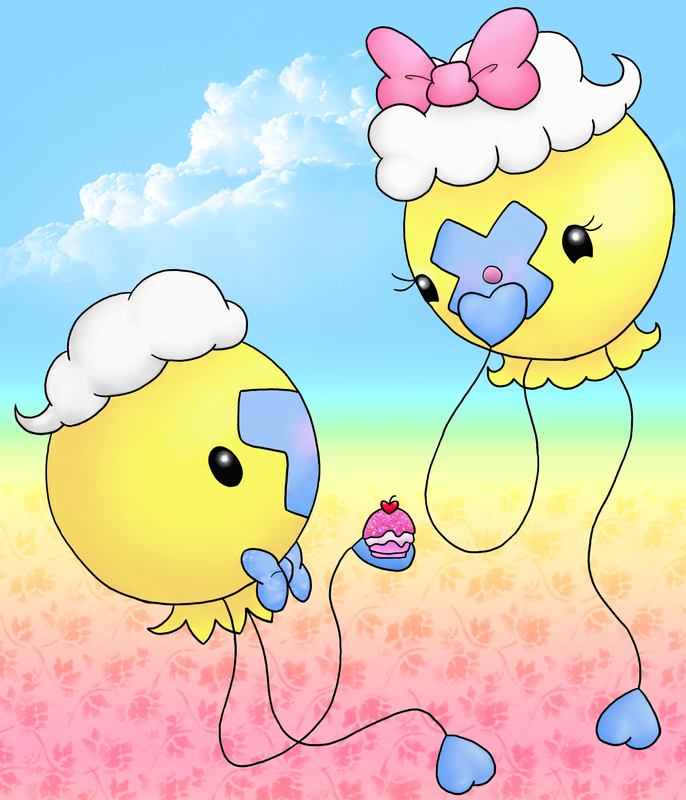 She was just a small Drifloon, and her father was a rather elderly balloon by now, but she felt perfectly safe there surrounded by the large group of Rotoms with whom they lived and worked. Celeste had never known what many humans, and even some Pokémon, would call a family. 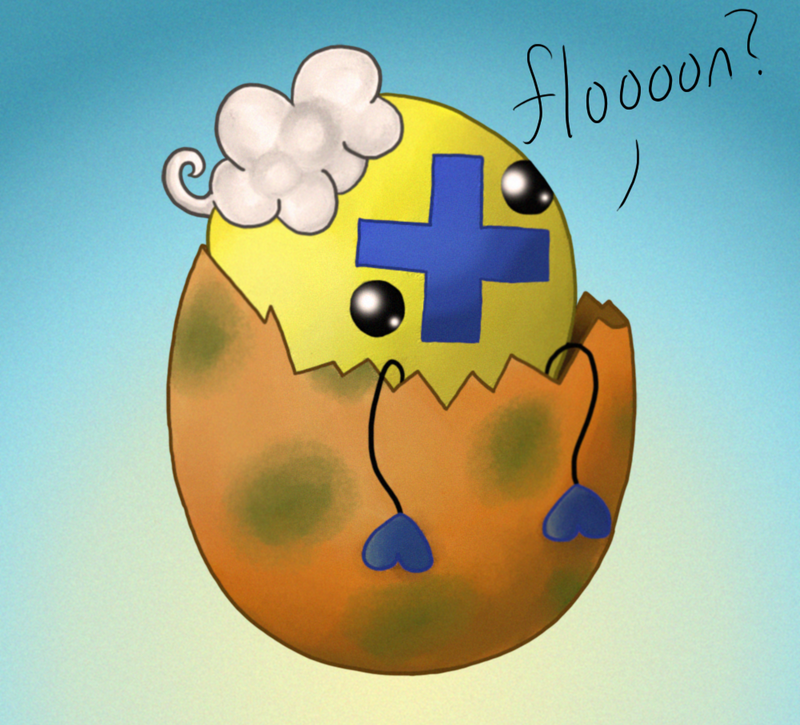 She had no mother or Drifloon siblings. 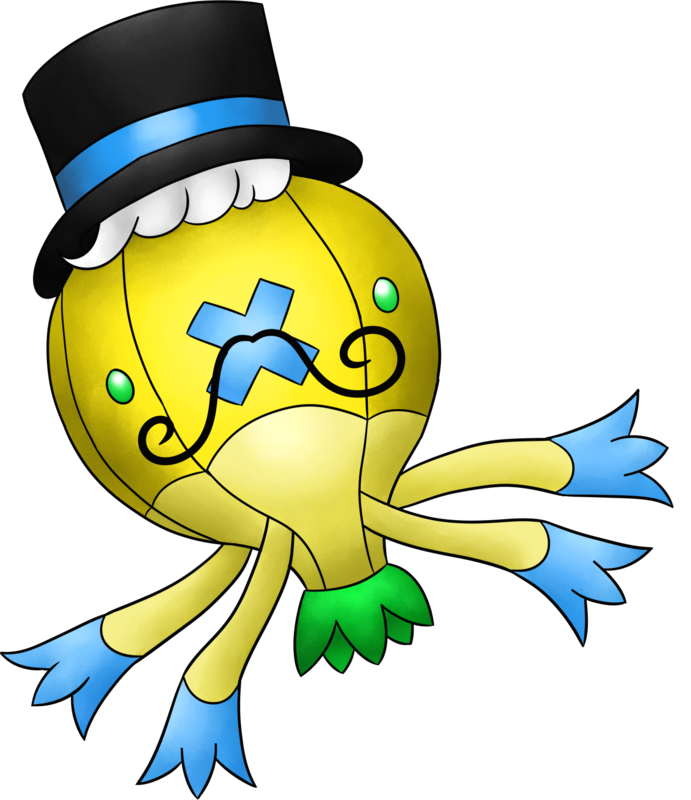 But even if their names and species were different, the Henderson Rotoms were her and Mr. Kite's family. Celeste thought of Mr. Henderson as a second parent, and his many children as her sisters and brothers. She hadn't known Billy or Eleanor as long, but they were her friends too. As she fell asleep, tired and happy, Celeste hummed a few bars from her song. She always enjoyed performing and singing for an audience, but she loved singing that song the most. When she sang about getting "a little help from her friends," she was really thanking her family for always being there. Celeste was quite the precocious little Floonling!